As I rolled out of the bed, I took comfort in the fact that I had a Browning PacLite rain suit in Mossy Oak camouflage in my turkey vest. That rain suit stays in my turkey vest throughout the spring. It’s saved me from getting wet numerous times. Almost anywhere I hunt during the spring, there’s an unexpected rain. If you’ll be hunting turkeys, you have to hunt them when you can. Drury and I got ready to hunt. We donned our rain suits, headed for the woods, crossed a creek, went up a hill and took a stand on the edge of a small pasture. Over the rapid fire of the rain drops hitting my rain suit, I heard Drury whisper, “Those birds usually roost on top of that hill and pitch-out into this little pasture. Just at daylight I’ll give a few yelps to let them know there’s a hen here, but they’ll probably stay in the tree a little longer, because it’s raining hard.” About 30-minutes after I’d normally expect to see turkeys flying-out of a tree, three big gobblers and five hens pitched-off the top of the hill and lit on the edge of that pasture. “Okay, Bubba,” Drury said. “There are three gobblers. Shoot the one you want. Then we’ll go back to camp, get some breakfast, and then decide what to do next.” Within 10 minutes, I had a fine longbeard in the back of my hunting coat, and we were headed back to camp. On a trip to New York State, I hunted with Chris Kirby, president of Quaker Boy Calls in Orchard Park, New York and Turkey World Calling Champion. When we went to bed that night, the temperature was in the upper 40s. By the next morning, the temperature was in the 20s, a foot of snow was on the ground, a strong was wind blowing, and snow was still falling. “Chris, what are we going to do? It’s snowing,” I said. “We can’t change the weather, so we’ll just deal with it,” Kirby said. “Do you have a camouflaged rain suit?” I reached in the back of my hunting vest, pulled out my Browning Paclite rain gear in Mossy Oak camouflage and was ready for another day of turkey hunting. If you want to enjoy turkey hunting more this spring, be sure to keep some type of packable rain suit in your hunting vest. If the weather gets cold, the rain suit will keep you warm. If the wind starts to blow, the rain suit will break the wind. If you encounter snow, sleet, hail or rain, the rain suit will keep you dry. 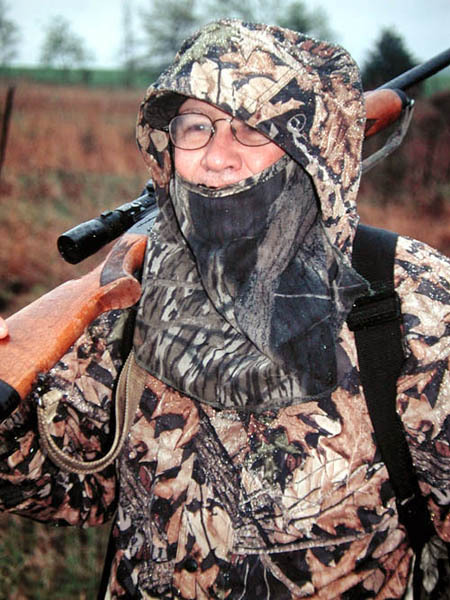 I’ve hunted turkeys all over North America in various weather conditions, and I’ve always been happy I’ve had my Mossy Oak rain suit with me. 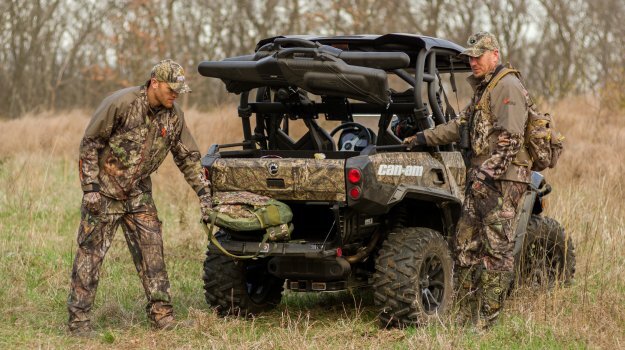 Mossy Oak Pro-Staff member Parrish Elliot discusses the importance of wearing a safety vest. Parrish talks about why he made the switch and always hunts with a safety vest while hunting out of a tree stand. What's the Best Turkey Vest for You? Whether you're looking for comfort, versatility or a turkey vest to keep you organized, there is a vest to fit your needs. Here are three great turkey vest options that are new for 2018. Browning has taken technical outerwear to the next level in design, features and performance with the new XM Elite line of hunting clothing. New for 2014, the Browning XM Elite line uses premium fabrications that give the most demanding hunters uncompromising performance. 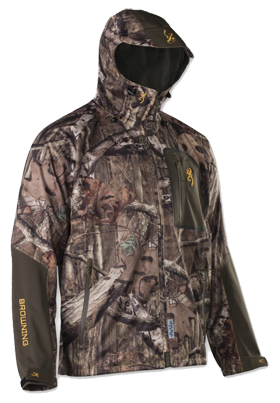 XM Elite is the warmest, highest quality technical outerwear Browning offers.